Indian cricket captain Virat Kohli is a man on a mission as he is breaking records left, right and centre. Anushka Sharma is a die-hard cricket supporter and never misses a chance to cheer for her hubby and the Indian cricket team. Now, apparently a video has gone viral on social media, where crowd are chanting Anushka Sharma‘s name and Virat Kohli gives a thumbs up to the crowd. The match in question is India’s fourth ODI against Windies at Brabourne stadium, Mumbai. India won the match comprehensively and despite Virat Kohli missing out on his fourth consecutive hundred, crowd got their monies worth. Anushka Sharma recently celebrated Karva Chauth and the love between the couple is awesome and exhilirating to say the least. Anushka Sharma made her Hindi film debut with ‘Rab Ne Bana Di Jodi’ alongside Shah Rukh Khan in 2008. Incidentally, Virat Kohli made his debut for India also in 2008. 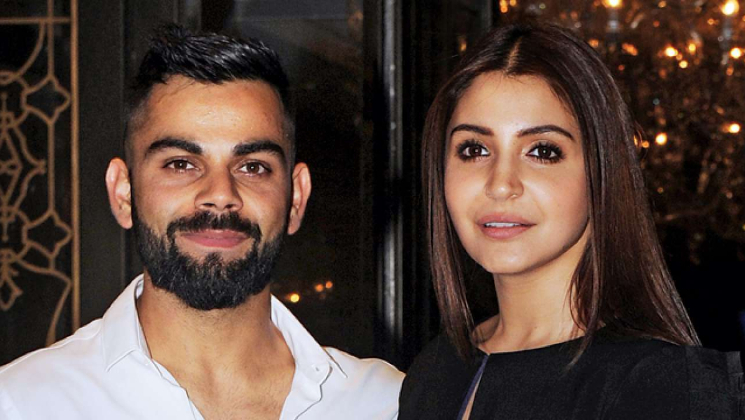 The couple got married in December 2017 and we wish that Anushka keeps on cheering for Virat and Indian captain keeps on piling the runs. Anushka Sharma’s next project is Aanand L Rai’s ‘Zero’ starring Shah Rukh Khan and Katrina Kaif. You have to give it to Anushka for maintaining a healthy balance between personal and professional life.